Employers have played a key role in financing their employees’ healthcare since World War II, when they threw in tax-free benefits to attract talent in a time of wage controls. So it’s no surprise that when Congress passed the Affordable Care Act, they gave employers all sorts of carrots and sticks to boost coverage. But Congress wanted to control overall costs, too, and didn’t want employers being too generous. 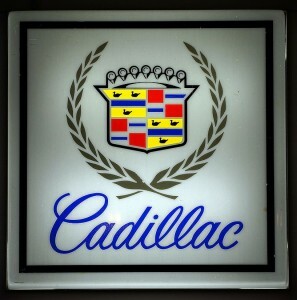 So they imposed a new tax on so-called “Cadillac” plans. Technically, it takes the form of a 40% penalty on annual premiums exceeding $10,200 for an individual or $27,500 for a family. But everyone knows what the term “Cadillac” plan means, even if Cadillacs have nothing to do with the cost of healthcare. The “Tiffany” Tax: The DeBeers group of companies, which monopolized rough diamond sales for much of the last century, helpfully “suggests” a young man spend two months’ salary on an engagement ring for his betrothed. That’s sweet and touching for the man who waits until he’s that established before wooing a bride. But blowing two months’ pay on something so purely symbolic hardly seems practical in today’s era of six-figure student loans and increasingly pricey starter homes. (And is that two months’ pre-tax or two months’ take-home?) A 40% premium on anything over a carat sounds about right here. The “Big Mac” Tax: Let’s face it, when you think of junk food, you think of McDonald’s. We know we need to eat less, but how? Former New York City Mayor Michael Bloomberg raised hackles when he tried to ban “Big Gulps” with more than 16 ounces of liquid candy in a single serving. He should have known that Americans will swallow a tax a lot faster than they’ll swallow a ban. Today’s point-of-sale computer systems could easily supersize sales taxes as calories, trans fats, and salt content go up. The “McMansion” Tax: The average American family has dropped from 3.01 people in 1973 to just 2.54 today. Yet the average American house has added 1,000 square feet in that same time. Do we really need all those extra bathrooms? And nobody really parks a third car in that oversized garage, do they? Property-tax authorities can easily build out their assessments to penalize bloated square footage, fake turrets, more than seven gables, and random stone accent walls. The “Dom Perignon” Tax: A generation ago, Orson Welles promised wine drinkers that Paul Masson would “sell no wine before its time.” (Paul Masson himself stomped on the grapes at 9AM, and it was in the freezer at your local 7-11 at 3PM, but who’s counting?) Now, it’s all “vintage” this and “artisanal” that, and you’re not a real wine aficionado if you haven’t sampled the latest Chilean Malbec. Governments already load up wine with hefty excise and sales taxes, but why not fortify them with an extra 40% for anything over, say, $40 a bottle? Fortunately, none of those taxes are real . . . yet. That’s just as well, since we’ve got our hands full helping you pay less of the taxes Washington already imposes. The key, of course, is a plan. And with Labor Day just around the corner, it’s not too soon to start thinking about year-end planning. So call us when you’re ready to save. And don’t pass along any of these ideas to anyone who could actually make them happen!